Happy STOCKTOBER everyone! The last week of August, just before #Shelftember started, I did a grocery shopping trip. Before putting all the groceries away I thought “…this may come in handy in October, I'll record this.” I'm so glad I did! With #Stocktober in full swing, I've had so many questions about how I grocery shop, how I build a stockpile in my freezer, fridge, and pantry on a budget, and how to feed my family of 7 healthy meals, while on a tight grocery budget. Have no fear, Freebs, today's video covers it all! If you're new over here, every Thursday I post a new video to my YouTube channel…and I pop in some surprise videos here and there too. Because I like to shake things up. Be sure to subscribe and turn on your notifications so you don't miss anything! What do you think? Doesn't seem too tough, right? With a little creativity, and a lot of trial and error with freezing things, you can master the art of Shelf Cooking and save at least HALF on your grocery bill each month. Buying extra of something when it's a good price. I like to say, “Buy 3…one for me, 2 to freeze” (or store, if not freezing). That way the next time you need it, you don't have to run out and pay full-price! Only going to the grocery store ONE TIME per week…NO MATTER WHAT. If you go to the store for one item, it will cost you at least $50 in impulse buys. Stay out of the store! Keep your own “store” at home, so you can grab what you need quickly, eliminating expensive impulse trips to the store. Using what you ALREADY have to make a full meal! Often times you only need one or two fresh elements to make a complete dish. Everything else can from from your freezer, pantry, or spice drawer. Plan your meals based around what you ALREADY have and need to use, not the other way around. If you are buying 100% of the ingredients for every meal, you might as well just eat out because you are spending through the NOSE to cook. Meal plan, meal plan, meal plan! Waiting until 4:30 to figure out dinner will result in pizza or takeout. Or loads of frustration and fist-shaking. No one likes a shaken fist. 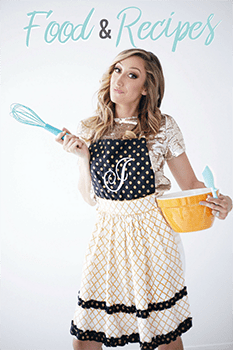 Get my best meal planning tips HERE. The simplest budgeting method EVER. How I track my weekly grocery budget, and details on how much to spend on groceries each week/month. Why I don't price-match any more. The website I use to help me see what's on sale each week. It's $5/month and WELL WORTH IT, especially since they also give you a weekly meal plan to help you use up what you buy. How to learn when something is a good price! Some of my best food tips and hacks! Why this video is perfect for October! Keep all of these tips in mind when going to the grocery store next, and I promise your wallet (and family!) will thank me. Happy cooking, Freebs! Awesome post as usual, thanks Jordan! Love watching your videos and reading your blog. Very helpful advice. Plus you are super funny and have a beautiful family. Thanks again from Canada! Quick question. What is your thoughts ad opinions on the great harvest freeze dryer? I love to can and buy a lot of extra food and have thought about getting one. They are up there in price. I’ve always wanted one! The price-tag has scared me off though. Someday I’ll get one and try it and will let you know what I think! This looks amazing! But I don’t see that you bought any meat, right? I feel like that’s where things add up for me quickly. Working on it! I enjoyed watching your video and getting great ideas for stocking our freezer full of meals for the kids (4). I have found that having a master meal list is great for meal planning. I have written down all of the meals I make by category such as breackfast, lunch, dinner, snack. Then sub categories under dinner like soup, casserole, crockpot etc. It is helpful so that we are not eating the same meals over and over unless requested. I am new to this saving thing-y! Canadian too. Everything especially food here in Canada is super $$$. I am looking for your Grandmas banana bread recipe. Link Please. Loved this video, question though. I have 3 little ones, so 3 lunches a day go off to school. You stated that you put a freezer item in their lunch bag and it thaws by lunch time. Do you make their lunch at night or in the mornings? Just making sure the thawing time is long enough for them. We make them the night before but add fridge/freezer items in the morning before they go out the door! Seriously I love your blog and am so thankful for all your tips! I’ve read this post like 18 times and always find something new I didn’t remember from before! Thanks for so many great tips and resources!! Oh i just love all of your wisdom & advice plus you guys are adorable!!! I freeze everything! I love the clearance food section at the grocery store! Definitely going to buy extra of certain items and freeze them! No joke, every time I am at the grocery store I think of this video and think to myself how do I shop like Jordan? I love how inspiring you are thank you for taking the time to put this together! Thank you Jordan! These tips have kept food in my house for once! My husband is disabled and we are on assistance and I’ve struggled for years to really make it stretch and actually feed us. I’m not talking steak and lobster, I’m talking at least 2 meals a day feed us. And there’s only two of us! So from the bottom of my heart, again, Thank you! Love this video and the tips! I really like the idea of buying extra of what you use frequently so you can have some always on hand. Whether it be food, laundry soap, whatever! I can’t wait to start stocking up! MY husband thinks it’s hot when I work on my budgeting when I’m listening to you! Jokes on him I mostly do it because you’re hilarious and awesome! Love your creative passionate energy. Helps me rethink grocery shopping and that grocery budget. I’ve been using the “buy 1 for now, 2 for later” tip recently and it’s totally helped me with cooking cheaper! Thank you for more great ideas on how to save money on groceries. Loved hearing this one. Changed my life for the better. This is something I struggle at. I need to work on this for sure. I am totally guilty of “running to the store for one thing” and coming home with a car full of stuff! I’m going to try and keep it to once a week and make do when I need something but don’t have it. You’re awesome! I’ve recently starting using your tip of going grocery shopping one time per week, and I love it. I actually really love going to the grocery store, but I realize that I spend so much more than I need to when I go frequently. Thanks for this tip! I participated in shelftember and it worked out great. There are a lot of great tips here. Thanks! I shop this way too! Glad to know I’m on the right track! I love the idea to buy 3 (one for now, two for later). It reminds me that I don’t have to go crazy and overspend when there is a good deal, and that stocking up can be done gradually and within a budget. Thank you!! You have the best tips! Love watching you, you make budgeting not seem quite so horrible!! I love this video/post. I found it back when you first published it and have visited it repeatedly since. I have now got a small stock pile to grow as soon as we move as the new house has a whole store room for me to store in! I love these tips! I feel like i waste way too much food by not freezing stuff. I’m going to try and do some make ahead meals and freezer meals this week. Great ideas! Now I really want an extra freezer so I can stock up more! Thanks! I love this!! I’ll implement the buying 3 (1 for now and 2 for later), it’s brilliant!!! And meal plan!! Wow! 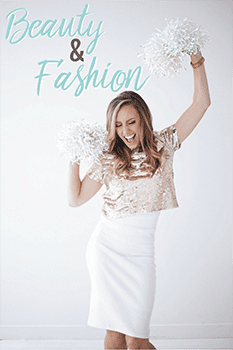 I get overwhelmed with blogs because of all the chatter but I really like how yours is laid out! Thanks for sharing your awesome videos and your happy, infectious spirit! Love this post. I have been using your tips and tricks at the grocery store and my husband and I were able to pay off all his student loans in 3 months.. woot woot!! We have also been able to stock up on items as well! Thanks for all the great advice! Such a bad impulse buyer!! That’s something I definitely need to work on. Thank you for sharing your tips!! Thanks for the tips! Will have to try! I like the buy 3 rule, I need to start doing that and build a stick pile! I used to love watching TLCs “Extreme Couponing” and was so disappointed when I learned from experience how hard it is to “coupon” in Utah! Maybe I was going about it all wrong, but I really like your tips! I’ll definitely have to start implementing them! Love this! Nice to see that my crazy grocery shopping ways are shared by someone else! I was just talking to my husband today about how we need to cut back on groceries but I wasn’t sure how. I can’t wait to try this out! Do you make a dinner menu every week and shop for what you need? Literally because of you I have overhauled my grocery shopping and only buy what I can make multiple use out of to last me and my family of 4 until everything is emptied out of the fridge! This is honestly so impressive! You really use every penny to the fullest and that is something I feel like more people should focus on! Love your grocery tips. My family of 6 always appreciates a good meal and I appreciate a good AFFORDABLE meal! Yay! This is something I totally needed and that I know will help me every day! Thanks Jordan! I love the way you shop 🙌🏽 I HATE couponing too, and my husband keeps suggesting I “give it another go” lol. Wait until he sees this haha 😉 It is a little more challenging however, since I have celiac disease… cheap things like bread and pasta are like three time more expensive as GF. And let’s be honest, not even that good haha. But, I try and make it work! I’ve really been trying to apply your tips when I shop, it’s given me a whole knew perspective! Love these types of posts and videos! 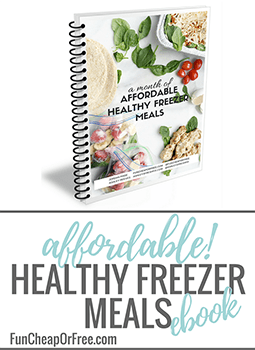 It helps me get motivated to do a meal plan and I need to start freezing a lot more than I do! Thanks for the tips and tricks! I’ve saved so much by sticking to your $100 per person advice. I have also stocked my cabinets pretty full too. So when you grocery shop do you come up with the menu before hand or do you first see what is on sale.? Also, I have always been under the impression that freezers use up a lot of electricity does it matter what kid if freezer you get or how do you make it so you are still coming ahead on savings? I love watching how you grocery shop! It gives me so many ideas! Like freezing cheese! Who knew!! This is awesome. I feel like I have a set plan each time I shop but then I end up spending way more than I intend to on things I just don’t need. This put it into perspective for me. There’s been nights where I’m like oooh I want to make _____ But don’t have an ingredient or two so instead of going to the store to get those ingredients (which leads To over spending on things I don’t need) I make something else with items I have. 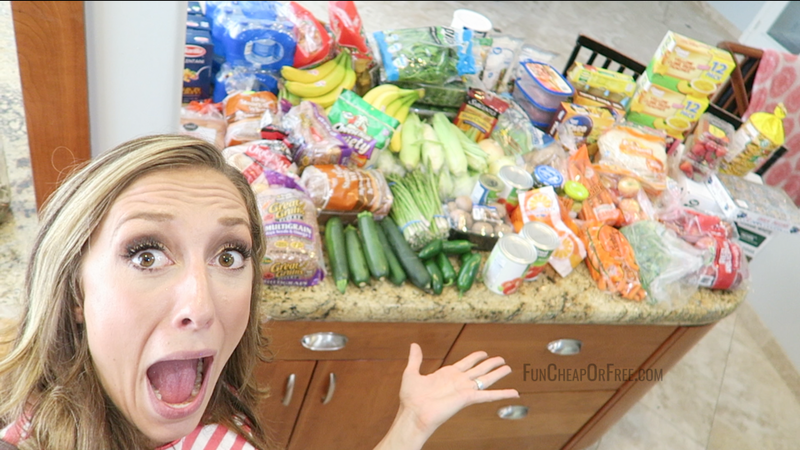 I love all your grocery shopping tips! This one of the first videos I watched. Thank you for all the amazing tips. You inspire me. Love all the posts about grocery shopping! That’s an area we always tend to overspend in, so it’s been great learning all these tips from you! Such helpful advice. It’s all very common sense, but sometimes you need to hear it to recognize what you’re doing wrong! So, thanks!! I love to watch your grocery halls! I have implemented this into my families life and its going well!!! Thanks for sharing all your amazing tips and tricks!!! Jordan, you’re tips are exactly what I needed to hear. When I think of how much we’re spending (and then wasting!) at the grocery store, I see where were going wrong!! My husband and I are almost finished paying off our debt, but I’m so scared of going back into debt after simply because of FOOD. Food is my greatest pit fall, and I love to stock our pantry, but I always seem to go over budget. These and other videos/resources you have are going to be so helpful! This was so helpful!! 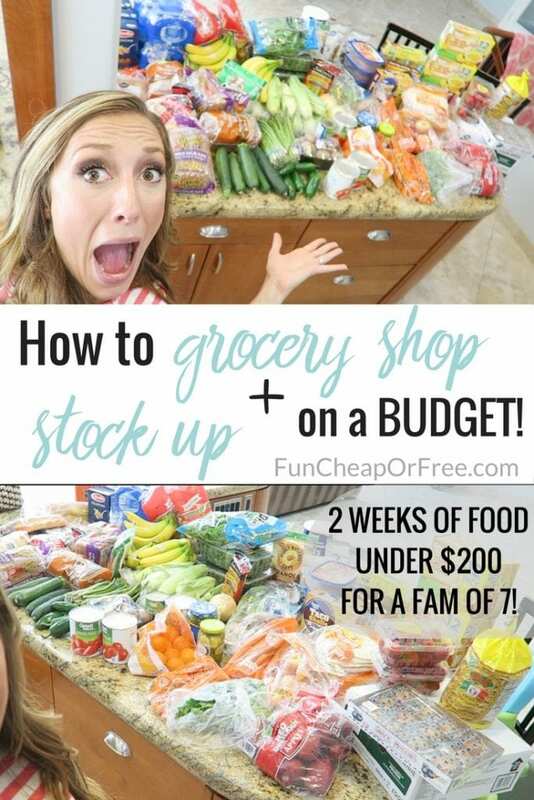 I definitely will use these tips to try and save money on groceries!! Thank you!! I loved this post (and I watched the video on youtube). I have been using Walmart’s grocery pickup service and it has helped TREMENDOUSLY! I just add the items needed and when I hit my budget for the week I stop, or I go back and review items and take off what can wait and put in what I really need. I also take better inventory of what I have on hand while I’m “shopping”. Love that service and as I stated, has helped us tremendously to stay on budget. 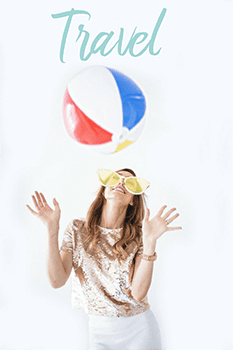 I love, love, love your videos and blog posts. You are truly a gift from God! I am trying to build up my food storage, so I am grateful for this post! With a family of 6, we cruise through our storage kind of fast. I will have to remember the “use 1, freeze 2” rule. Thanks! A lot of these tips I have been using for a while. I’ve been following you since I’ve been married almost 6 yrs in March! Whoa! Lol You are also the only blogger I follow. Follow anymore would be too much for my brain. Thank you for sharing/oversharing and all the tips, tricks and in between stuff you do! Yes!!! I can’t wait to go shopping tomorrow!! Love the concept on buy one for now and 2 for later! I meal plan but have to buy most of my ingredients everh single week. I think your meal planning system will help my family save money and waste less food! Your grocery hauls are the best! Thank you so much for all the tips! I started using your envelope system and it really helps me stay on track with my grocery budget. I loved following along with you on this a few months back! I know these tips will be even more helpful as we start residency this summer! This has helped me so much with my grocery budget! 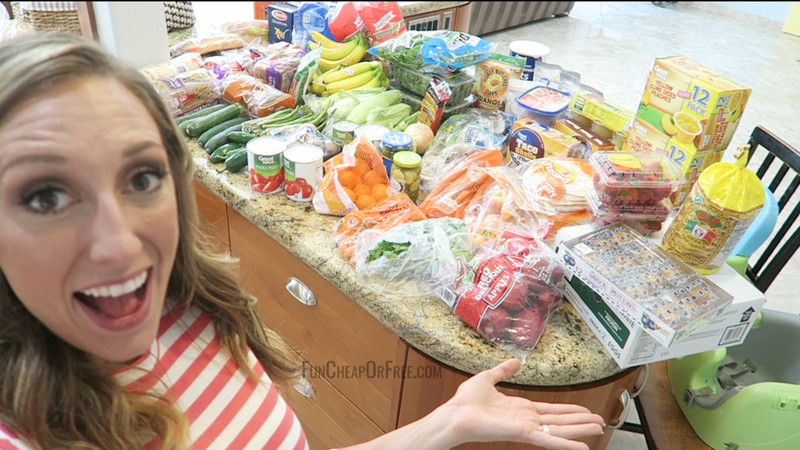 I have struggled with what to count as grocery and how you divide it makes so much sense! Thanks! I love the rule of only going to the store once per week! And using what you already have to make your meals. But really, they’re all great tips and have helped me budget my grocery bill much better in the recent months. Thanks so much! I totally need help with my budget. I think I spend way to much on food. It’s crazy! Thanks for the tips! I have been stockpiling sauces, beans, and canned veggies. It makes putting meals together so easy because most my items are just right there. I love freezing bread. My husband thought it was so odd when we were first married, but now he does it too! This is my goal!!! Thanks for the awesome tips! I love the big 3 limit. Sometimes I buy 5,6,7… because I LOVE me a good deal and find that with not shopping in other areas like decor, clothes etc I allow myself to splurge on food. Thanks for this awesome list! This has been so helpful to me! I can’t grab quite the same deals being in Canada but the principles are universal! Thanks Jordan! I have used the “buy 3” principle (1 for now and 2 for later) and it has totally saved extra shopping trips later! Thank you for sharing! Grocery budgeting is the trickiest one for me. I love the tip of not going to the store more than once during the week! We have been trying this and it has helped so much! Love your grocery tips and tricks! Love this! I always struggle at the grocery store! I’ve been trying this method lately. Thanks for great advice! This has been so incredibly helpful to my family. We had been working for years to cut back costs and I couldn’t seem to trim any more. These did the trick! Jordan I’m a huge fan, please pick me for the budget boot camp giveaway! These are my favorite posts! Why is it so fulfilling to watch grocery shop hauls? Please keep doing these! i love that you brought out all your stuff and explained everything!! makes more sense being able to see it all!! Thanks Jordan for your advice on grocery shopping and tips, with your help I have saved money!!! I love how you put stickers on the items you are asking for a price match on and how much! Makes it so much easier for both me and the checker by doing this!! This week I remembered and used the buy 3 rule, one for now 2 for later. Trying so hard to follow your grocery shopping budget rules and tips! Diapers and formula are killers on the grocery budget! Loved so much of this! I need so much help in this area 🙈 I hate meal planning and I hate grocery shopping because I always spend more than I intend to. Starting to use your tips ASAP!! 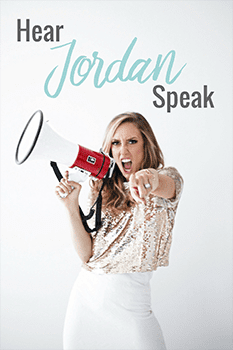 I love your tips and stocktober Jordan! Always think keeping a bit of stock up money in grocery budget is a great idea so we don’t have to pass up awesome sales! This post is great! Getting our budget on track with our grocery shopping. Also a plus for having extras. Jordan I think this one really may have helped me the most. I am currently working on getting a freezer and have seriously changed our grocery budget tremendously! This month so far I have only spent 250 dollars because I have been stocking, “1 for now and 2 for later”! I love learning more about freezing everything too! Love this! Will have to try it! Such a better way to shop! Couponing was too time consuming for me! I have always been interestes in saving money while grocery shopping. I have always wanted to build my food storage. I have never known how. It is sooo helpful to see it in action. I have learned so much!! Thankyou!!! Granny’s banana bread recipe is my go to! Sooo good! How do you justify paying a costco membership and sticking to a budget for groceries? Is your $100 budget per family member that you stick to for when buying at Costco and other grocery stores that week? Or do you not go to other grocery stores wheb you go to Costco that week? I’ve been wondering lately how much our grocery budget should be, and whether I’m spending too much or not enough. This was very helpful! Great tips! Buying a little extra is something I’ve never thought of before. U have some amazing talents thanks for helping us to do better! Love all your tips! Your tip about cooking with what you already have has changed how we grocery shop and cute our grocery bill significantly. It’s so hard for me to only go to the store once a week!!! I’m trying my best, but always seem to need a time waster when I’m waiting for preschool to let out. I need nice weather so the parks are accessible again!! 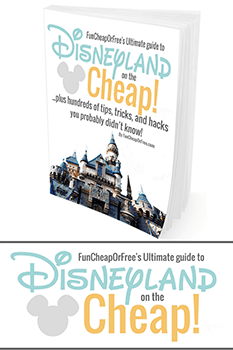 So amazing that you share off of these tips and tricks! I’m totally working to stock up! I have been using these tips for a while and they have helped so much! We have had some creative meals but everyone still eats them and likes them! I have also been trying to be better at stocking our freezer. Your shopping tips have been a life changer. THANKS!!! Great tips! Thank you so much!!! I love this! The idea of your shelftember has really stuck with me, and while I couldn’t do it then, I’ve had a record low February grocery bill because I’m cooking smart! I’d consider myself a savvy chef, but your tips are still helping me slim down the budget and I LOVE it! Common sense! Thanks for the tips and tricks. Love me a good savings and stock pile. It’s a piece of mind for me and my family. This still just baffles me. Even though it’s just my husband and me, I think the biggest part of our budget goes to food. This is something I really need to implement. With twin babies this really spoke my language on once a week shopping and freezer meals! Impulse buys get me every time. I have to try harder to go less! Freezing pb&j??? I’m going to have to try that with my niece! Love the easy meal ideas! So much good stuff here! Love the idea of buying 3 of something when it’s a good price. Loving all these tips and tricks! Starting to put them to good use! I think I need to watch all of this over agin with a pen and paper in hand! So much good advice. I love the trick with the cucumbers! I’m pretty sure I’ve been buying the big thick ones because they look delicious! Yes…love this. Need to get better at meal planning. Shelf cooking for the last 2 weeks! I actually had so much stuff!!! Shelf cooking is the best! I will definitely start doing this for sure! I love the buy one for now and two for later idea! I need to start doing that again because it was a total life saver! I’m terrible about only going once a week. Need to work on this! Thank you for this post. I moved to a pretty small town about an hour outside of Las Vegas & with just one grocery store, I have to be more strategic with buying food & storing it. Great tips! Thanks for sharing your tips! It really is helpful! I love your advice to meal plan based on what is already in your pantry!! 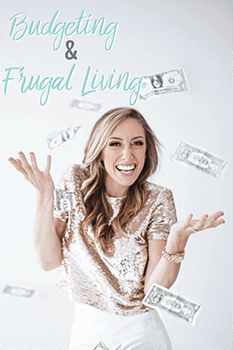 You have no idea how much research and time and MONEY that I have spent on trying to figure out budgeting and meal planning and you are literally changing my life! The simplest budgeting tool has been great! What I loved about this video is you see all of that food and you come up with tons of options and snacks. My eyes just don’t work that way.. but I need to learn because my 3 year old son and my husband eat all. Day. Long. And buying a bunch of prepackaged snacks is breaking the bank. Where do you shop now that WALMART doesn’t accept price matching? We are a family of 6 with 2 teenage boys who are ravenous. I switched to your simple budget method so we are now allotted $120-150 a month for groceries depending on the month. So far after 3 weeks it’s been manageable thanks to Fry’s (Kroger) deals. I used to price match but stopped when WALMART stopped doing that. I would love to see an updated video regarding this. Loved your grocery video, but where’s the meat for dinners? Just wondering since meat is bigger expense. Where is the protein? The meat for meals? I have been doing budgeted meals and meal planning for a while as I left my job to be a stay at home mom. I can plan for the month actually, but what kills me is the meat. I try to stock up on great deals and I have a freezer of meat. Do you have suggestions or advice to buying planning proteins for meals? Meat can be so hard! You can split it in half and use legumes to bulk it up for less, then try using a butcher and going in on it with a friend (or a few). I watch for sales and then freeze it right away. I will let you know if I find any other tips for sure!